The verb spell commonly means to write or name the letters making up a word in the right order. Spell is a verb with irregular and regular forms. Spelled and spelt are both common forms of the past tense and the past participle of spell, though with geographical differences. Learn more about the details of this difference, as well as additional uses for spelt, below. Spelled or Spelt—Which Is Correct? An obvious place to start is the dictionary. You will find a few definitions for the verb spell. It can mean “to signify” or “to explain explicitly.” The definition in question is the one that deals with naming, writing, or signing the letters of a word in order. Searching spelled and spelt will yield invaluable information: both of these variants are used as the past tense of the verb to spell. 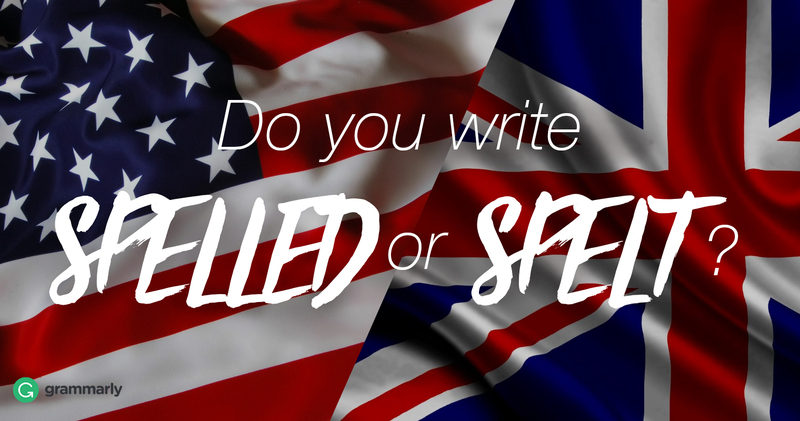 Is this one of those British English versus American English spelling differences? The past tense of the verb “spell” can be spelled in two ways. The past tense of the verb “spell” can be spelt in two ways. Where you live dictates which form you use for the past tense of the verb spell. But remember, spell has other definitions besides the most common one, and it’s frequently used idiomatically to say that something “spells doom,” “spells trouble,” or “spells ruin.” It’s not the happiest bunch of expressions, but they can be useful. When it comes to using them, spelled may be the preferred choice throughout the world. Similarly, spelt can be used in different ways. Namely, spelt is a particular kind of hulled wheat. Spare a thought for Katerina Johnson-Thompson, who when competing at the highest level of her respected field found her name spelt wrong on her official Rio 2016 racing bib. The US sub-prime mortgage crisis that spelled ruin for thousands and left many homeless is not exactly a catchy subject for a Hollywood movie. The other remarkable aspect of Cotter’s life was his friendship with an aboriginal leader named Onyong, spelt in various ways. The title of Frank Ocean’s excellent and bizarre new release is spelled different ways in different official locations.